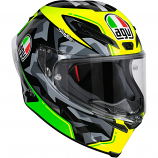 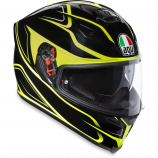 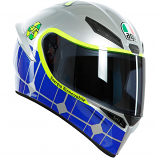 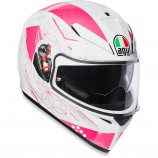 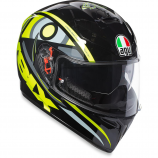 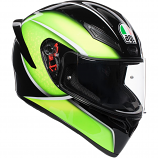 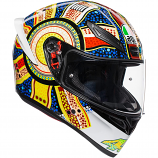 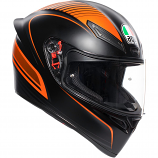 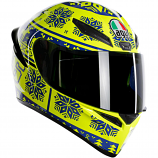 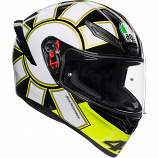 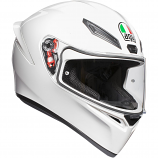 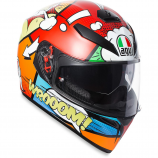 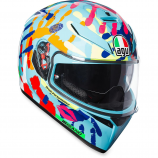 AGV is a first-class Italian brand manufacturing motorcycle helmets. AGV is an acronym which stands for Amisano Gino Valenza, who founded this brand. 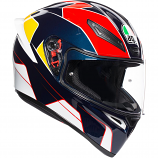 Started in the year 1948, their helmets have had a great presence in racing world since then. 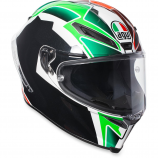 They produced 100% fiberglass helmet in the early 1950’s. 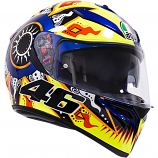 AGV helmets were preferred by biking heroes like Kenny Roberts, Angel Nieto, Giacomo Agostini and Barry Sheene. 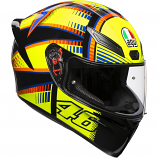 These top quality helmets are the choice of Valentino Rossi as well. 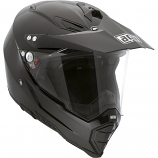 These helmets provide protection and comfort in various riding conditions. 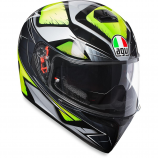 With high aerodynamic designing, you can enjoy riding on the tracks & the streets as well They research, project and commercializes innovative systems for protection of the rider’s heads. 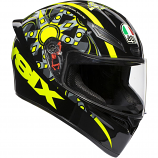 The MX line of the AGV helmets is made in such a way that they perform brilliantly on dirt. 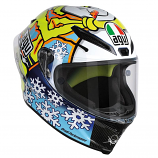 In the year 2007, AGV came into a merger with Dainese.